Young people hike for 18 hours to share the gospel in a remote village. Many Christians around the world today are looking for the second coming of Jesus. Yet Jesus told us, “This gospel of the kingdom shall be preached in all the world for a witness unto all nations; and then shall the end come.” Matthew 24:14. Still today, many around the world have not heard this gospel of the kingdom—the unique message borne by the three angels that specifies the Creator, His divine Law and His seal—yet the message is advancing. Recently, it entered the remote village of Yasoru for the first time! Located at the border of Morobe and Eastern Highlands, provinces of Papua New Guinea, Yasoru is not only difficult to access but is actually hostile to all but two Christian churches. The Lutheran Church staked its claim in this village first, and when the Evangelical Brotherhood Church came in, an argument ensued that caused injuries and even bloodshed. At length, the opposing parties reconciled and the community decided that no other denominations would be allowed in except the two churches already there. The first Seventh-day Adventist group to try to evangelize the area returned without presenting the message. The whole community rejected them at the outset of their effort, just as they had covenanted to do. Yet even though our youth group from Andandara knew that this previous group had been driven out, we could not feel content to leave Yasoru in darkness. Instead, we planned a visit to the village to share the final warning message. We had to hike 18 hours (60–70 kilometers, or about 40 miles) in a single day to get from Andandara to Yasoru—a difficult journey. The 22 young people climbed mountains, crossed valleys and tramped through thick forests greeted only by hunger and heavy rain, yet I didn’t hear them complain. At last, that night, we reached Yasoru village and found lodging with Allan, the deacon of the Evangelical Brotherhood Church. The next morning while the young people erected a grandstand from which to preach the Three Angel’s Messages, a special beam of light shone from the clear sky right upon the workers, encouraging the youth with great hope that the Lord would be with them. 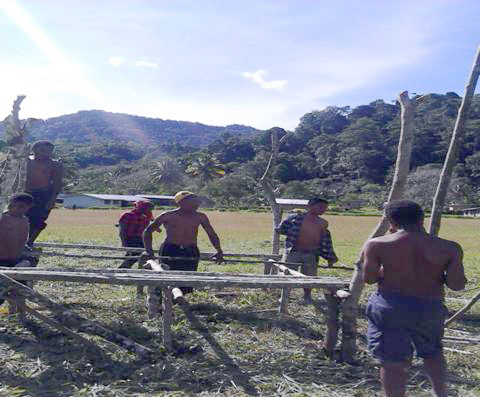 Because of our nighttime arrival the community hadn’t been alerted to our coming and they seemed surprised to see the young people building a grandstand; yet no one questioned them. God had taken the reigns in His own hand. Of course, when the community heard the loudspeaker they understood that there would be public meetings! After the first evening program the community members, led by their Lutheran leader, mobilized themselves to attack the Andandara youth group because they had already agreed that no other church might enter their area. Before they took any action, however, someone approached Allan, who had accommodated the group, to ask his view of the situation. He advised them not to touch the young people, saying, “They are presenting the same God, the same Jesus, and the same Holy Spirit we are presenting. They’ve got truth which we don’t have; therefore let them complete their program.” Praise God, the meetings finished successfully! Allan and his family continued housing the youth until the meetings concluded. By the time the meetings ended the community thanked the youth for the programs, saying that they were in darkness until at last they saw the light. Now they are ready to build a new church—a Seventh-day Adventist church. Next time the Andandara youth group visits Yasoru, the whole community will be ready to host the meetings! 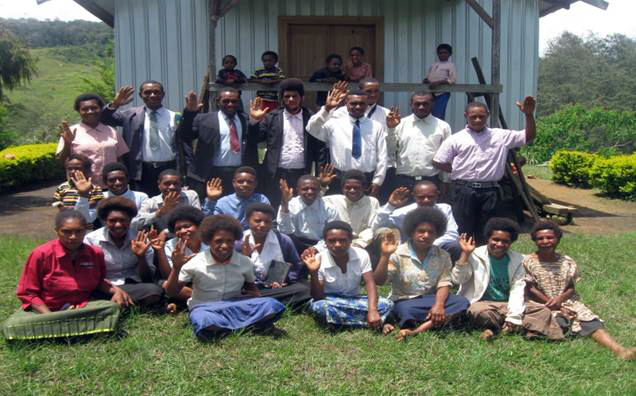 Luet Moyo of Papua New Guinea led the Andandara youth group on their mission expedition to Yasoru. Pray for the remote villages in Papua New Guinea to be reached with the Three Angels’ Messages. Pray for courage for the local believers to continue sharing the Three Angels’ Messages even amidst difficult circumstances.